Al Qaeda has released a new audio message from Ayman al Zawahiri entitled, “Go Forth to the Levant.” Zawahiri is known for his long-winded lectures. By his standard, the new audio is mercifully short at just over ten minutes long. It was disseminated via social media yesterday. The al Qaeda emir emphasizes, once again, that his men seek to build an Islamic emirate (or state) in Syria. And he heaps praise on Al Nusrah Front, which is openly loyal to him. Throughout his talk, Zawahiri contrasts the Islamic emirate that al Qaeda hopes to build in Syria with that of the “Kharijites,” a name given to a faction in Islam’s early history that is considered deviant. Today, the word is often used as a synonym for extremists. Indeed, Zawahiri uses “Kharijites” and “neo-Kharijites” as a way to refer to al Qaeda’s rivals in Abu Bakr al Baghdadi’s Islamic State. Al Qaeda and like-minded jihadists have rejected Baghdadi’s project, arguing it is not a proper caliphate. 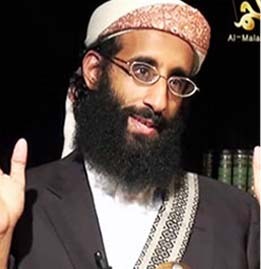 The al Qaeda emir says it is the “duty” of all Muslims today to “defend jihad in the Levant against” various “conspiracies” that are supposedly led by America, Britain and Saudi Arabia. Others seek to “establish a regime” based on Islam, but it is only a “counterfeit” version of Islam because it approves of “secularism” and “nationalism,” Zawahiri warns. 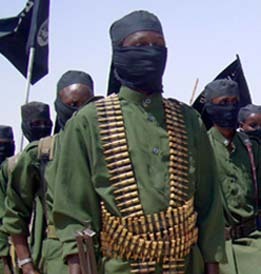 Some believe that al Qaeda is only interested in attacking the West and doesn’t really seek to acquire territory. This myth is contradicted by many facts. And Zawahiri’s latest message demonstrates, again, that al Qaeda’s principal interest in Syria is to wage guerrilla warfare until Bashar al Assad’s regime is toppled. 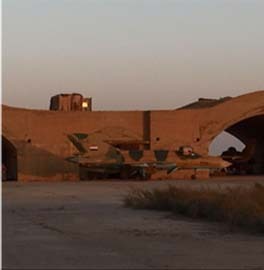 Only then can al Qaeda and its allies build a jihadist emirate in Assad’s ashes. 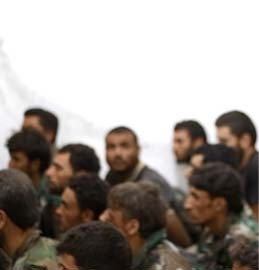 The al Qaeda leader urges the mujahideen to unite in Syria, saying it is a matter of “life and death” for them. He also cautions them not to be distracted by the discussion of Al Nusrah Front’s relationship with al Qaeda. Referring to reports that Al Nusrah is going to break its bay’ah (allegiance) to al Qaeda, Zawahiri asks rhetorically if this is would satisfy the “criminals.” Zawahiri wonders further if such a break would lead to Al Nusrah being forced to “submit to humiliating and insulting agreements” as part of a “surrender” to “corrupt” governments in the region. Zawahiri cautions that this is the path to “rotten” democracy, which was the downfall of other Islamist groups, such as the Islamic Salvation Front in Algeria and the Muslim Brotherhood in Egypt, and led to their members being thrown in jail. Zawahiri says he and others in al Qaeda “cherish” their “relationship” with the “precious Al Nusrah Front” and he asks Allah to increase its “steadfastness” in the face of its enemies. He then gets to the heart of the matter, repeating what he and others have made clear in the past: Al Qaeda is fighting to install an Islamic emirate based on its version of sharia. Only then will al Qaeda’s mission be accomplished. “We have said over and over [to] the people of the Levant” and especially to the “brave and blessed mujahideen,” if “they establish their Muslim government and choose an imam, then what they choose is what we choose,” Zawahiri says, according to a translation obtained by The Long War Journal. He argues that al Qaeda’s men are not “students of power” who want to rule over others, but instead “students of sharia judgment” who want to be “ruled as Muslims” under Islam. Organizational “affiliations” will not be “an obstacle” to achieving this goal, Zawahiri insists, because al Qaeda is a part of the “ummah” and “not its rulers.” He takes another dig at the Islamic State, saying al Qaeda does not require a bay’ah to “unknown people” or a “Caliph of surprises,” meaning Baghdadi. “We in al Qaeda have not accepted pledges of allegiance except those given gladly, nor have we forced them upon anyone,” Zawahiri says, according to the translation obtained by The Long War Journal. He draws a direct contrast to the “neo-Kharijites” in the Islamic State, who threaten to kill people if they do not pledge their fealty. Zawahiri’s explanation of al Qaeda’s goals and relationship with Al Nusrah Front is entirely consistent with what al Qaeda leaders have said in the past. Some claim that Zawahiri’s words imply a real “break” between Al Nusrah and al Qaeda’s senior leadership. But his latest message, and Julani’s previous explanation, do not support that interpretation. Even if Al Nusrah did announce a split from al Qaeda, then it likely would be nothing more than a marketing ploy. Osama bin Laden and Ayman al Zawahiri have ordered groups loyal to them to hide their affiliation in order to avoid the baggage that comes with being associated with al Qaeda. The group has also adopted multiple brands across the globe to obfuscate the extent of its network from the West and broaden its appeal to Muslims. 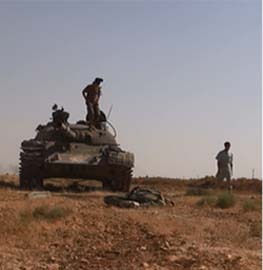 For example, Al Nusrah currently leads the Jaysh al Fath alliance in Syria. The coalition provides Al Nusrah (al Qaeda) with a way to pool the resources of other groups, including those receiving support from foreign nations. 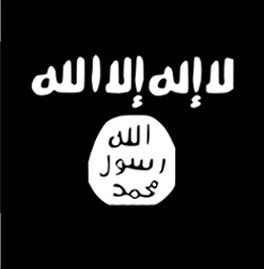 The Long War Journal has reported since 2013 that al Qaeda seeks is to establish an Islamic emirate in Syria. 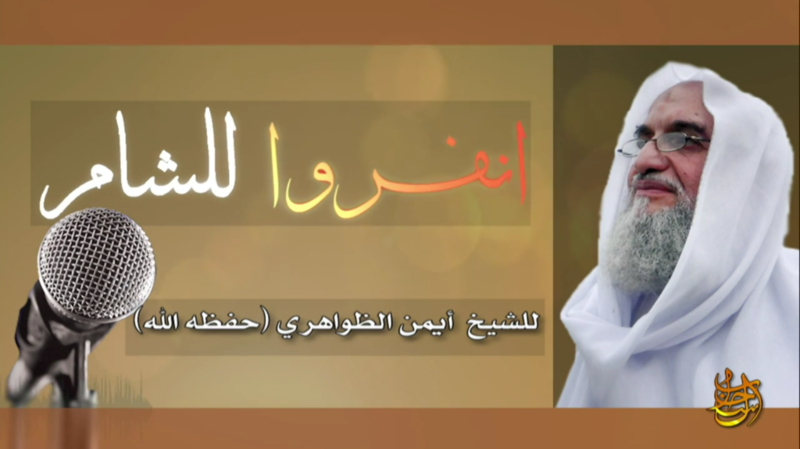 Zawahiri’s new message is simply the latest confirmation of al Qaeda’s longstanding goal. Why don’t you all just admit it? They would have been much better off had there been [what you all like to call] ‘regime change.’ And to just imagine, all of this carnage and slaughter could have been so easily avoided, had we gotten rid of the tyrant a$$ad in as timely of a manner as we could have (and should have). Why is Zawahiri still alive and still so strategic….? Zawahiri is protected by the same people who protected Bin Laden and never faced justice, and never will if people like Peter Bergen have a voice in US policy. Bravo Langley, bravo Pentagon, bravo NSC! Not. You are the problem, not the solution. The good doctor doth protest too much! He is leaning over the cliff of an abyss. The annihilation of his armies are at hand..they are destroying each other at a rate the west could only dream of ! Well..the best of luck to all of them. Do you think the same ISI guys that took Saudi $ to hide Bin Laden are hiding the Z-man? When he sends Al Adel to Syria is Al Adel now senior to Julani there?